One of the many perks of being an actor is getting to interact with so many beautiful people. We can’t imagine portraying love on-screen and it not seeping into real life. Actor Alec Baldwin reveals he’s fallen in love with numerous co-stars over the years, and we can’t blame him. 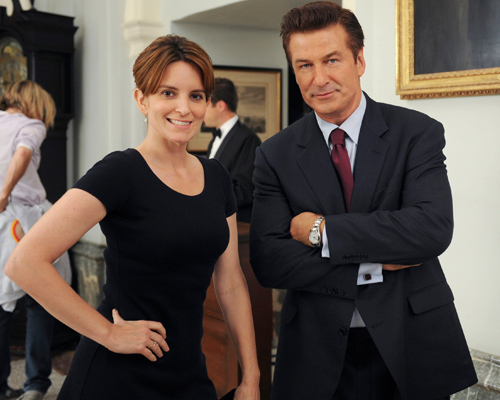 But the one that really has our jaw on the floor, is his love for Tina Fey. The 58-year-old actor has worked with some beautiful ladies throughout his career. Of course, he was going to love at least one of them. Now, the 30 Rock alum is opening up about his loves and when exactly he fell for Tina Fey — and we’re all ears. Baldwin is the April 2017 cover star for Vanity Fair, but instead of giving a normal interview, the Boss Baby star released an excerpt from his upcoming memoir, Nevertheless. In his new book, Baldwin talks all about the stunning stars he’s worked with over the years. Some of them include Megan Mullally, Jane Krakowski, and of course Tina Fey. Even though all the leading ladies in his life have been very different, he’s seemed to love them all. Now he’s talking about why, and when, he loved each lady and we’re hooked. “I have always been madly in love with Megan Mullally. Some have compared her to Madeline Kahn, and although I hear some echoes, Megan is such an original in terms of her timing, her warmth, and her mixture of insanity and sexiness,” Baldwin wrote in his excerpt via Vanity Fair. 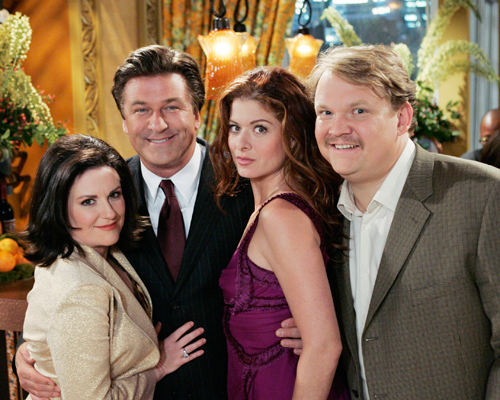 Baldwin played Mullally’s love interest, Malcolm, on Will & Grace back in 2005 and their chemistry was undeniable. “Like Megan, Jane Krakowski went on to nail the self-absorbed, horny femme fatale on 30 Rock. In my mind, there is a line from Marilyn Monroe to Madeline Kahn to Megan to Jane,” he explained. Mullally is such a unique talent, and Baldwin’s infatuation makes total sense to us. Then, the Saturday Night Live star then went on to describe the first moment he met his former 30 Rock co-star, Fey. "When I first met Tina Fey — beautiful and brunette, smart and funny, by turns smug and diffident and completely uninterested in me or anything I had to say — I had the same reaction that I'm sure many men and women have: I fell in love," Baldwin revealed in his memoir. It was definitely love at first sight when Baldwin met Fey, but the actress was already taken. “Tina was then the head writer at Saturday Night Live, and I was hosting that week’s show,” he recalled. When the actor eventually worked with both Fey and Richmond he understood their relationship and changed his initial thoughts. Okay, we need to read the rest of Baldwin’s memoir ASAP. This is good stuff. We wonder what else he has to say about his 30 Rock days? What about all of his different SNL moments? This book is going to be great — don’t you agree?